7 Obvious Signs of Hair Damage - Do You Have One? Whether from heat or over manipulation, there are a few ways to find out if your curly hair is truly damaged. Sometime the hair doesn’t always look damaged, but there are a few things you can look out for that will help distinguish the difference between healthy and unhealthy hair. Here are 7 ways to tell if your naturally curly hair is damaged. Do your curl crushes brag about going a year between trims or a proper hair cut? They maintain healthy hair all year around. If you notice that your ends begin to split almost immediately after a trim, your hair could be fragile and break off easily. The minimum amount of time before an average person will notice their hair splitting is one to two months after a trim. Have you ever run your finger over a strand of hair? Does it feel a bit bumpy or smooth? If there is an obvious difference in smoothness on a single strand of hair from root to ends, chances are you have gaps in your hair strand which is a significant sign of breakage. While protein treatments help to temporarily fill in the gaps, sometimes the problem can be fixed internally with proper nutrition and effective hair vitamins. While I have mentioned before the importance of knowing your hair’s porosity levels, it is more important to identify whether your hair is damaged or not. Hair that is highly porous means the cuticle layer is damaged, so your curls aren’t able to properly absorb and maintain moisture. The end result is hair that is dry and brittle. There are a few things you can try to actually tighten the cuticle, along with using products formulated to give you the effect of closing it. If you find yourself taking much longer than normal to detangle even when your hair is soaking wet with a slippery conditioner, this could be a sign that your curls are damaged. This is because the cuticle is lifted in damaged hair, making it harder for each individual strand to slide past each other when combing or detangling. If you notice a lot of hair falling out when detangling, while combing or brushing, there is a high chance your curls are damaged. Next time you brush your hair, take a look at the strands that your tool has collected. If you notice a root bulb, it could be improper nutrition and an unhealthy scalp. If there is no bulb, chances are your hair has been broken off which signifies weak or damaged hair. Healthy hair, when wet, actually stretches if it is gently pulled. 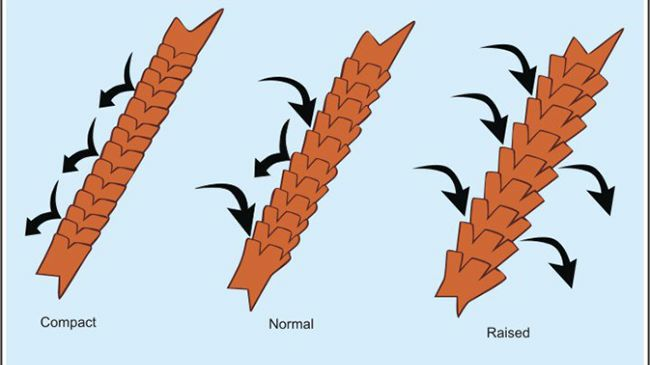 Elasticity in each hair strand is normal. However, if it stretches a bit too much and then snaps or pops, your curls lack protein. On the other hand, if your hair pops right away when you attempt to stretch it, your curls could be too dry and lacking moisture. These are two minor yet important elements in unhealthy or damaged hair. A lack of shine could be a direct cause of improper styling techniques or excessive heat styling. Another reason why your hair might be looking a little dull could be because of chemical damage like using relaxers or boxed hair dyes that are too strong for your curls. These are just a few ways to tell if your curls are damaged. Have any other tips to contribute so the rest of us can tell if our own curls are damaged? Let us know in a comment below!